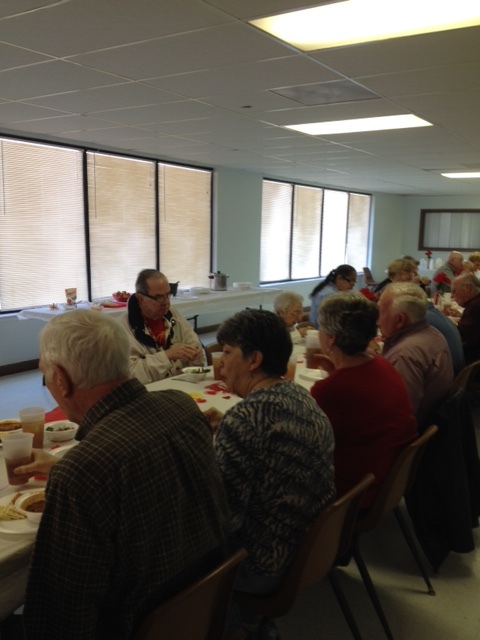 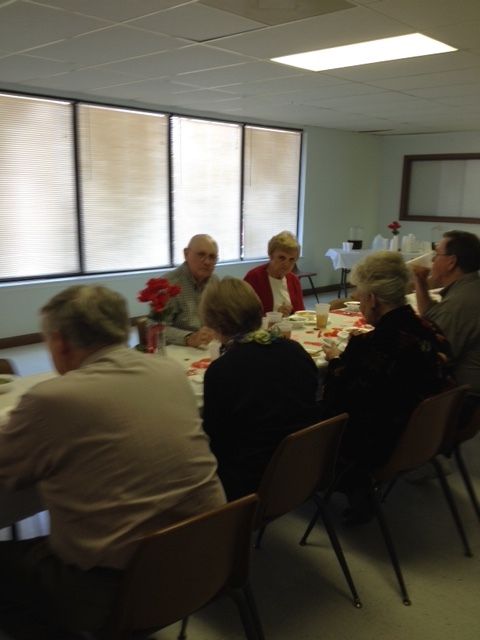 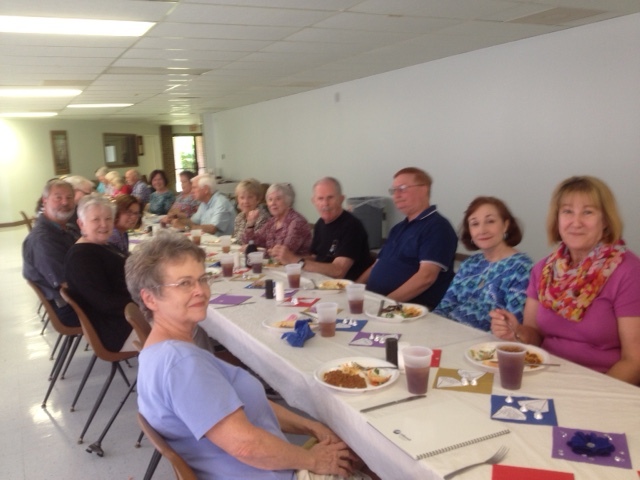 Senior Citizen Luncheon – 2nd Wednesday of every month. 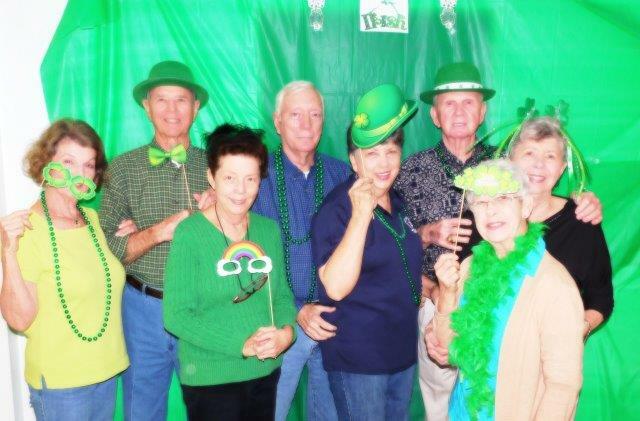 Great fun and good was had by all this month! 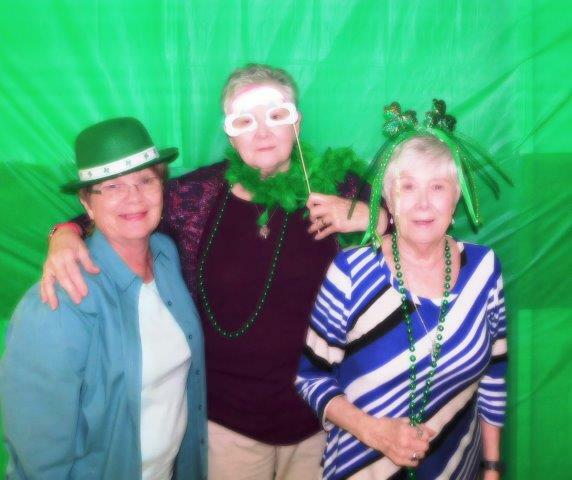 Join us for our next one — March 13 in the Activity Center. 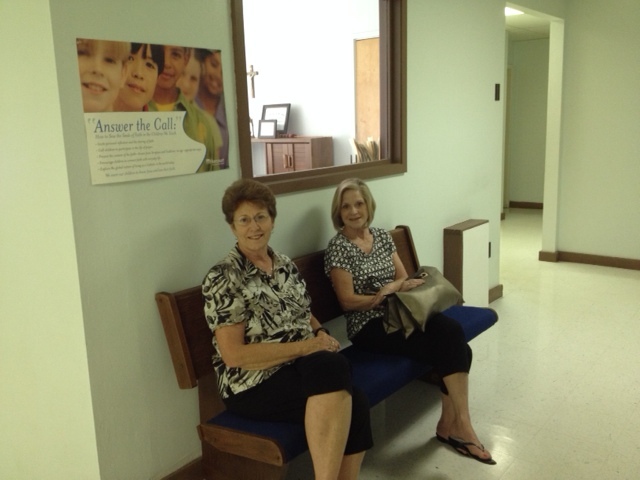 Open to all parishioners 50 years of age or older. 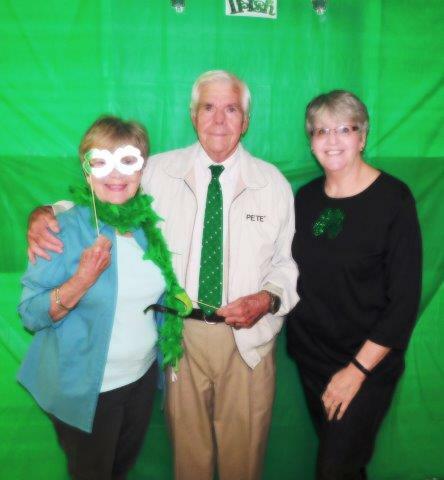 We would like to thank the kitchen crew for a delightful lunch, Patty Butkovich for providing the photo op and decorations , and Jenny Downs for taking all of the pictures. 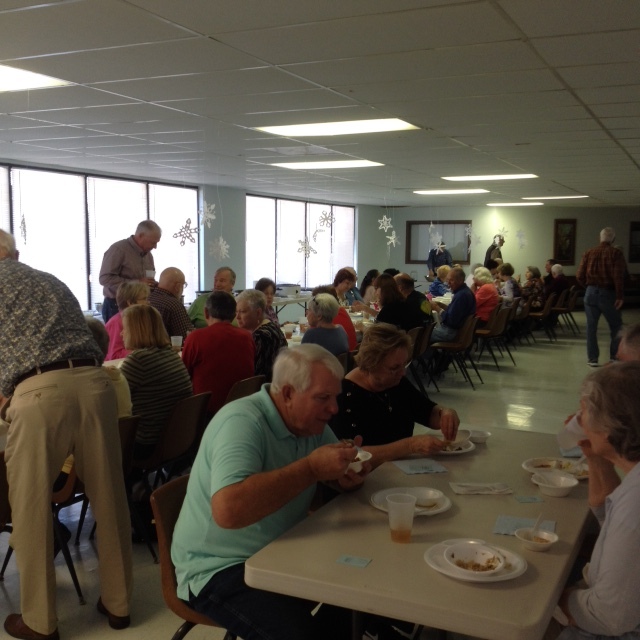 Our monthly Sr. Citizen Lunches have returned. 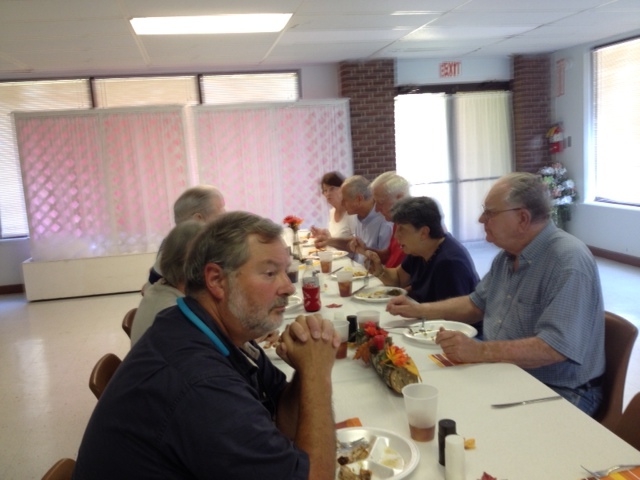 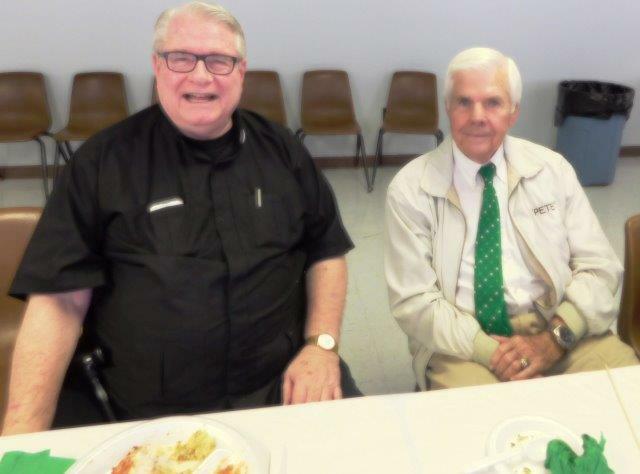 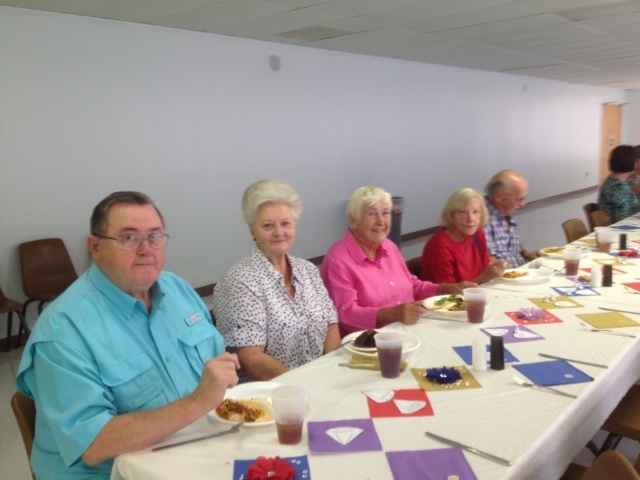 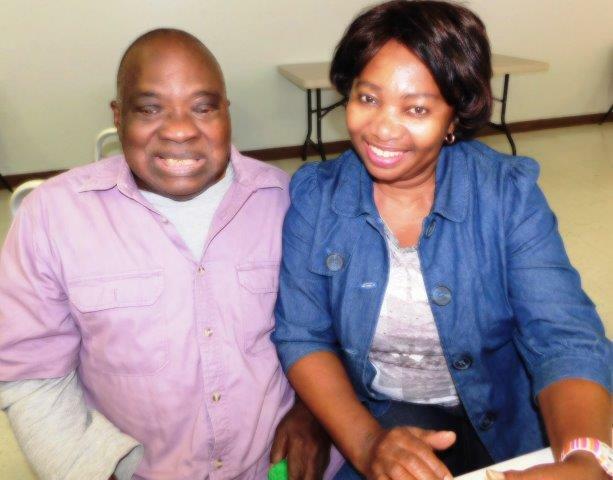 Here are a few pictures from our lunch this past Wednesday, September 9th. 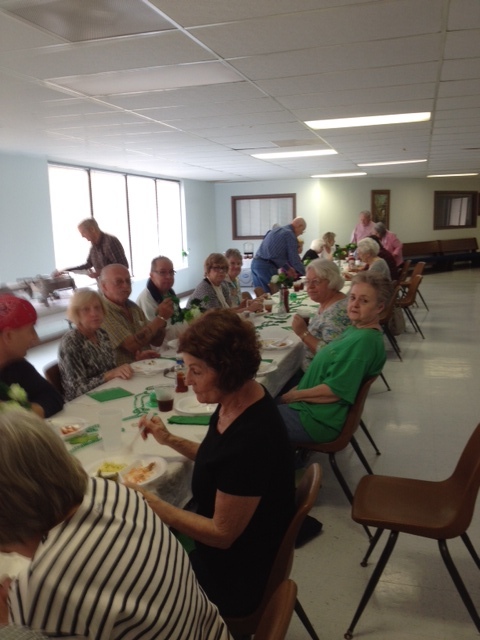 Our next luncheon will be on Wednesday, October 14th. 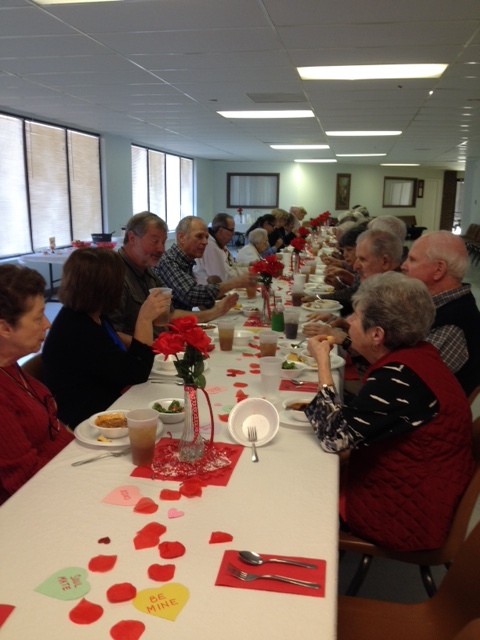 Social – 11:30 A.M.; Lunch is served at 12 Noon. 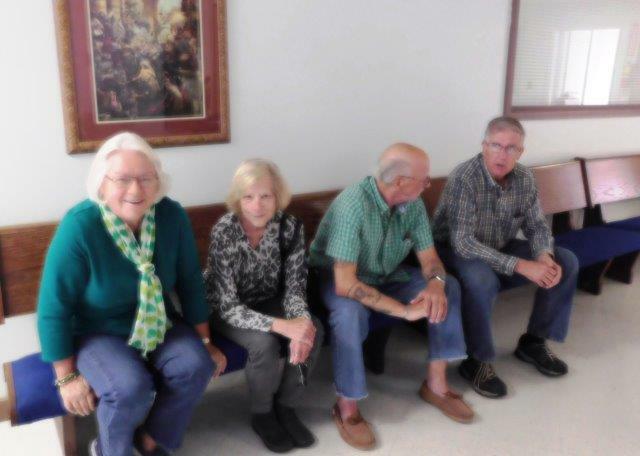 All seniors 50+ years are welcome. 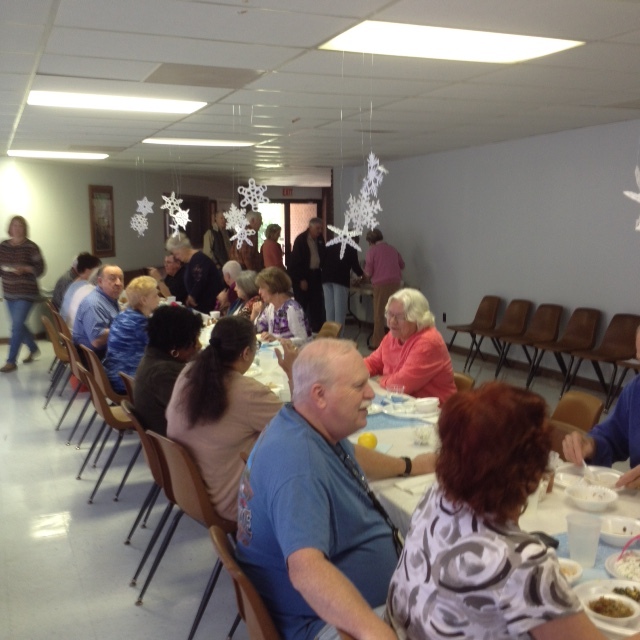 We invite you to come and share in some wonderful food and delightful fellowship. 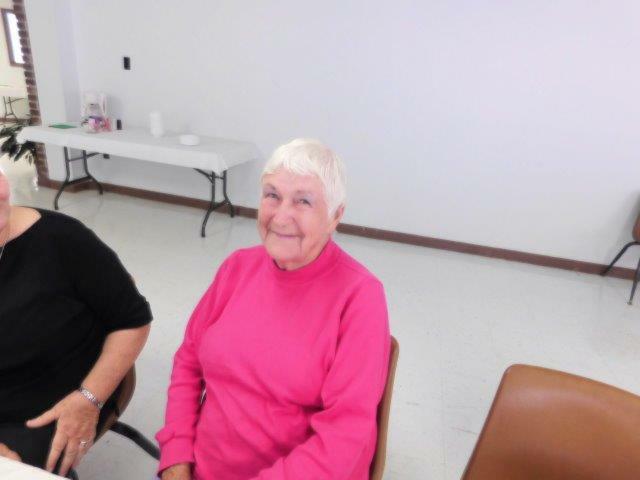 *We take a break during the summer months of June, July and August and also in December. 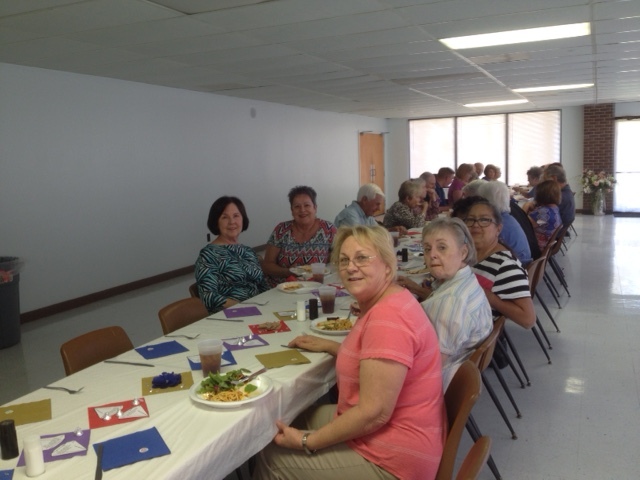 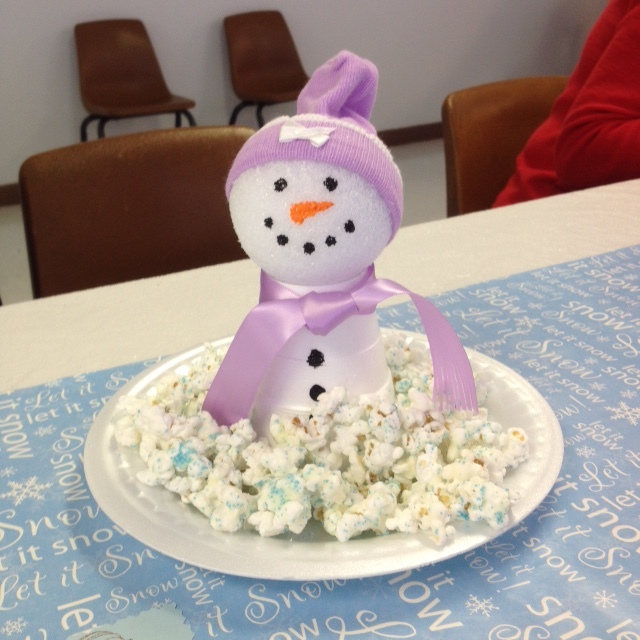 Our April luncheon – celebrating Easter! 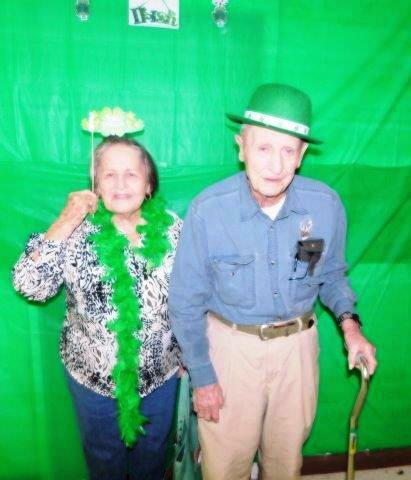 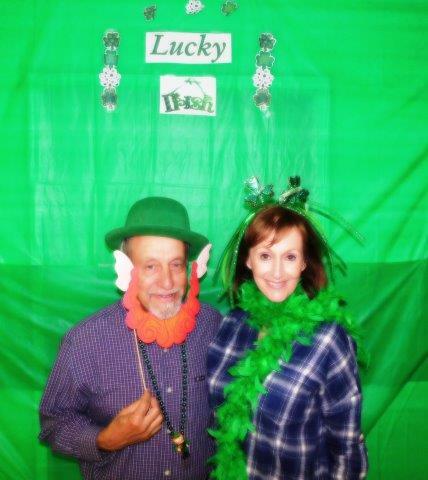 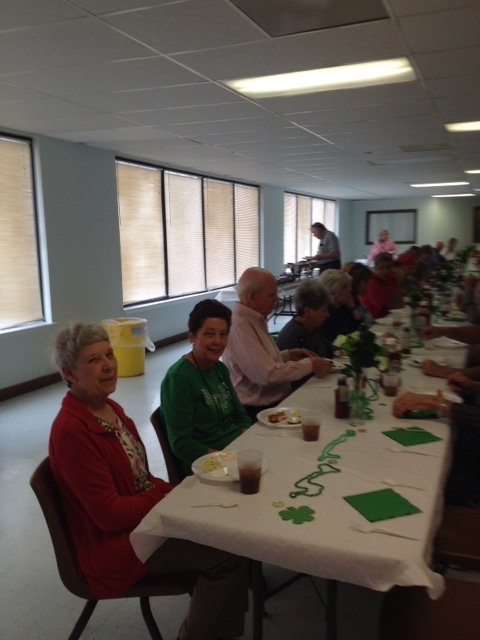 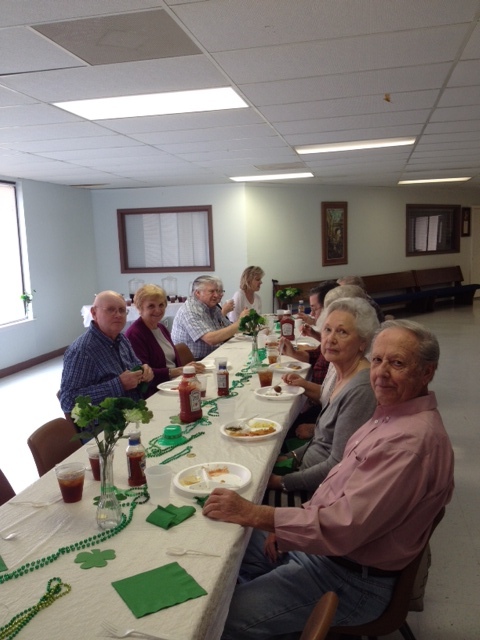 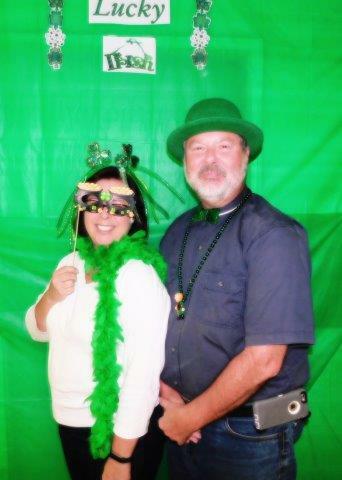 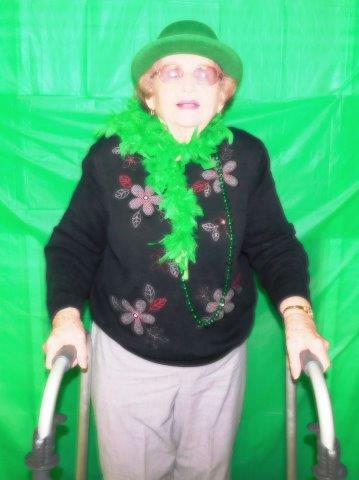 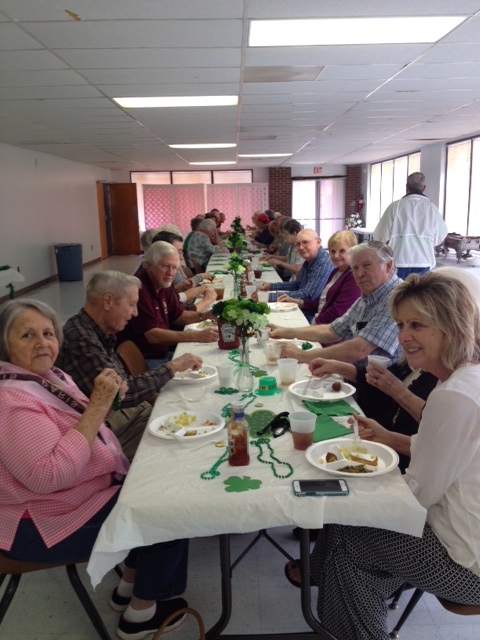 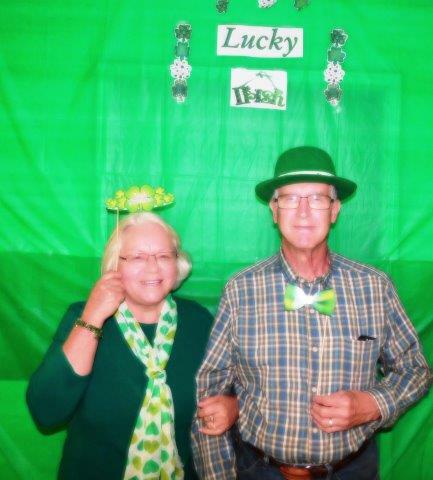 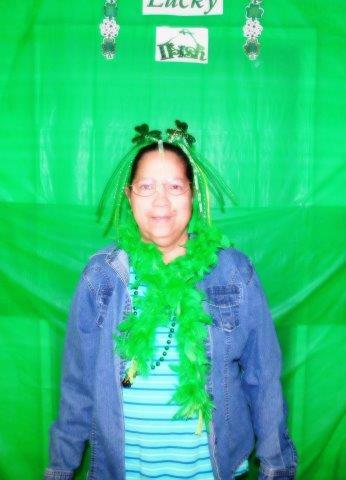 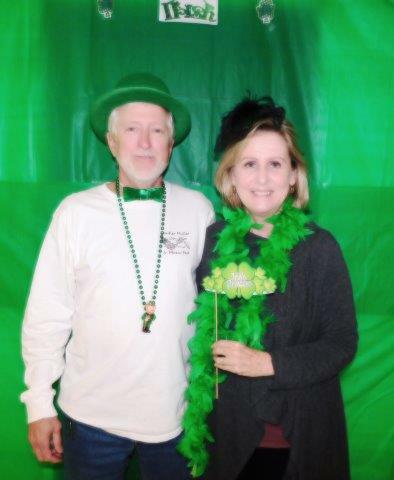 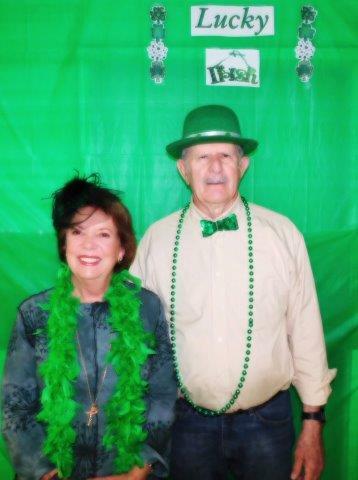 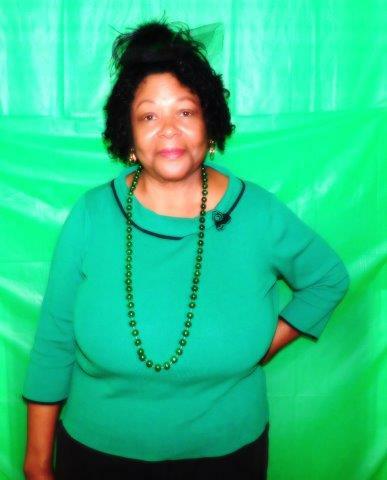 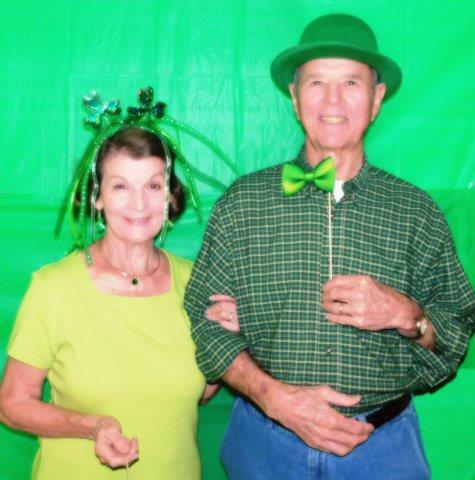 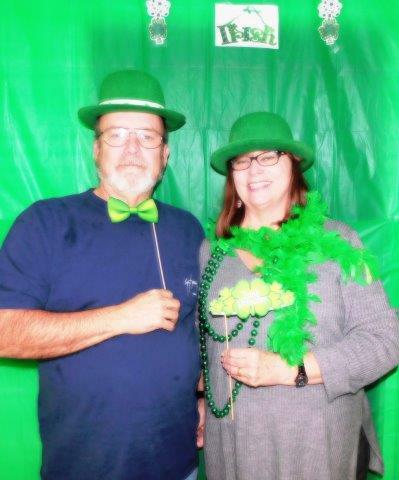 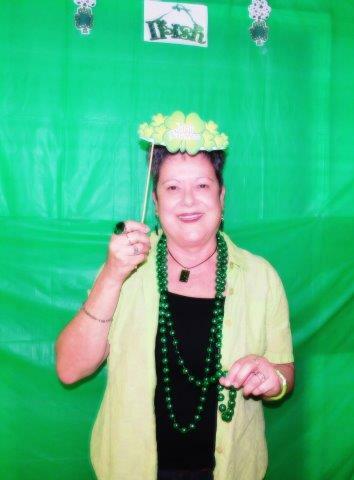 Celebrating St. Patrick’s Day at the Senior Citizens Luncheon! 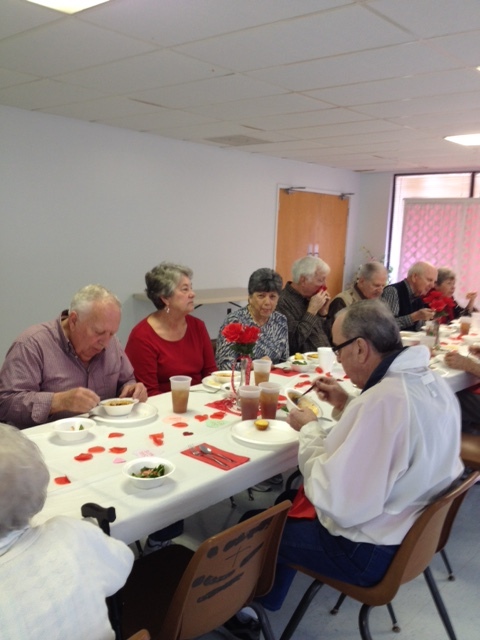 Delightful first luncheon of the New Year!!! 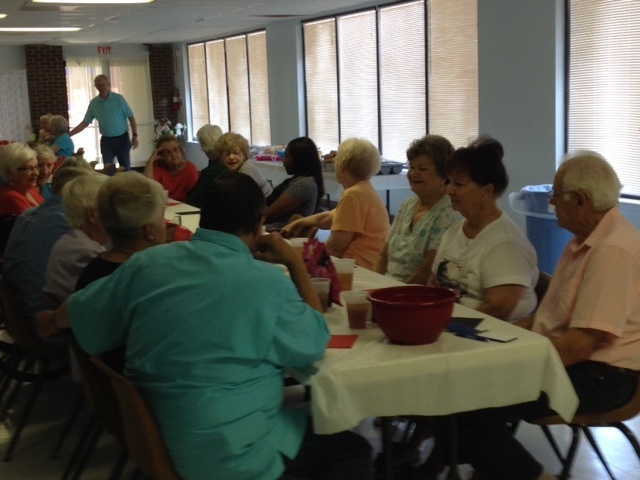 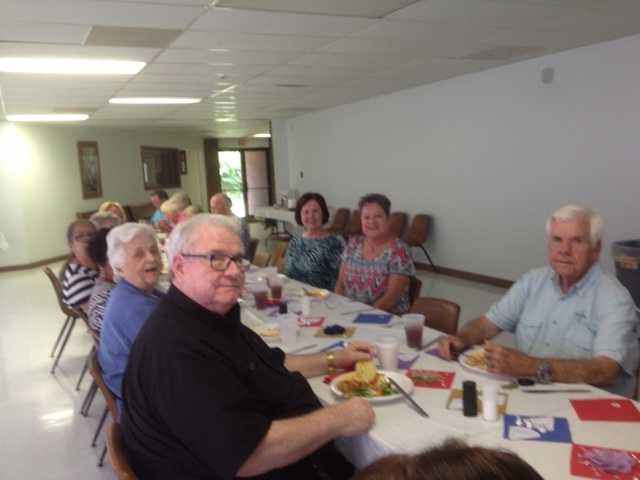 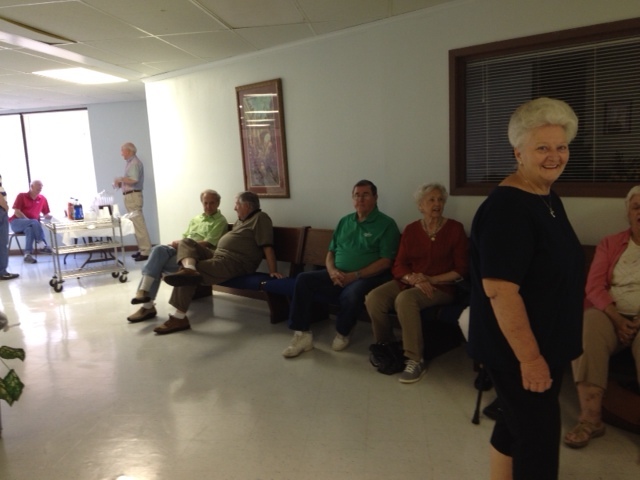 We had a great turn out for our September gathering–almost 50 parishioners and friends attended. 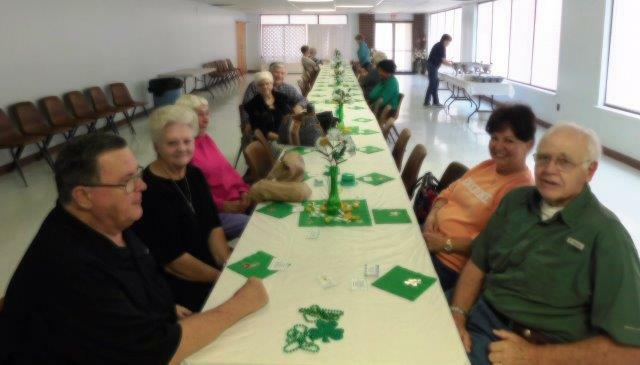 Here we are at the big banquet table! 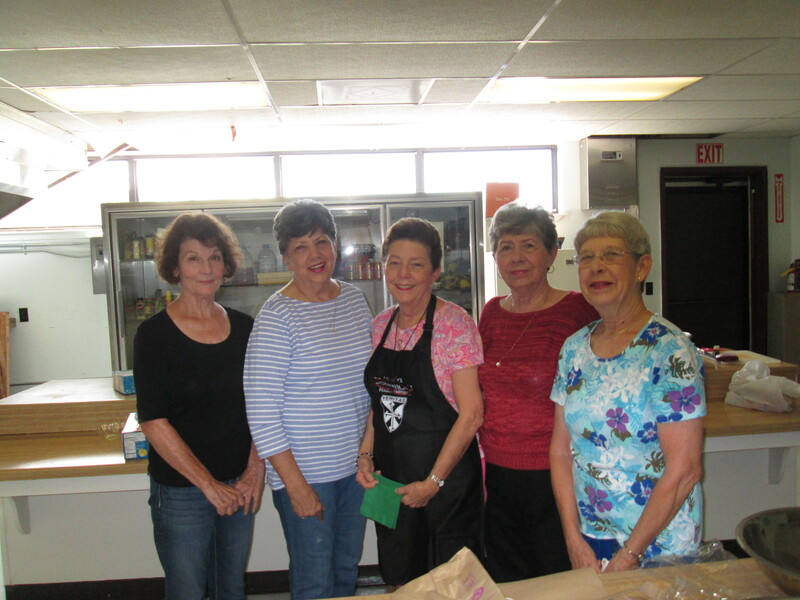 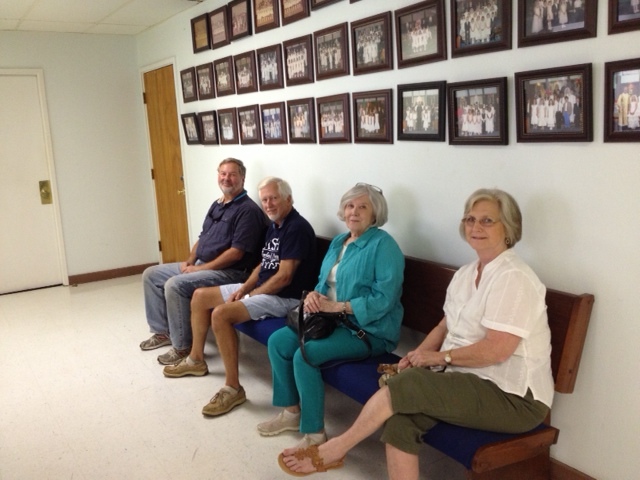 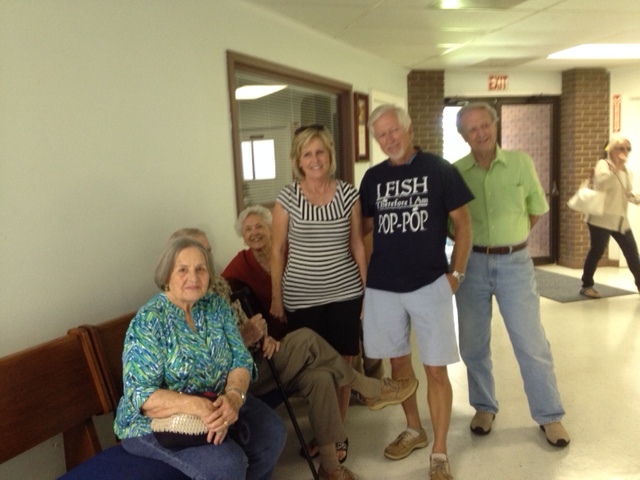 The Kitchen Crew–if you would like to help call Diana Myers at 497-4408 — younger folks would be wonderful!